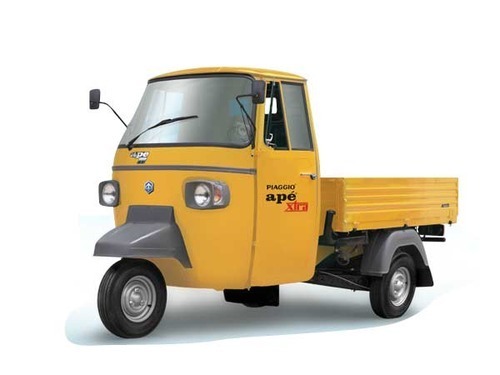 Providing you the best range of piaggio pickup van and diesel three wheeler with effective & timely delivery. It comes in two specifications- Ape Xtra BSII engine and Ape Xtra BSIII engine. The BS II engine is a single cylinder, air cooled one. Its displacement is 395cc and compression ratio is 18:1 and maximum torque is 16.7NM at 7200rpm. The maximum power it can exhibit is 7.38 bhp at 600rpm. For BS III, the displacement is 436cc and the maximum torque displayed is 18Nm at 2200 rpm and its compression ratio is 18:1. They are mostly used to carryIt comes in two specifications- Ape Xtra BSII engine and Ape Xtra BSIII engine. The BS II engine is a single cylinder, air cooled one. Its displacement is 395cc and compression ratio is 18:1 and maximum torque is 16.7NM at 7200rpm. The maximum power it can exhibit is 7.38 bhp at 600rpm. For BS III, the displacement is 436cc and the maximum torque displayed is 18Nm at 2200 rpm and its compression ratio is 18:1. They are mostly used to carry goods. The maintenance is low cost and there are many service centres located through India. goods. The maintenance is low cost and there are many service centres located through India. 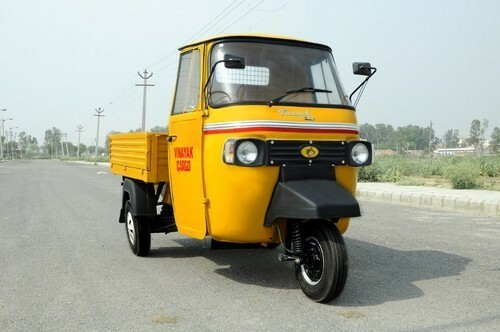 Looking for “Three Wheeler Cargo Vehicle”?